On average, approximately 1.3 million new homes hit the open market each year and roughly 5.5 million existing homes are sold, which is why it shouldn’t come as a huge surprise to find out that the United States has one of the most lucrative real estate markets. On top of that, Orlando continues to be one of the top areas to purchase real estate as either a primary residence or an investment home. In desirable, high-demand areas like Orlando, it can take anywhere from thirty days to eleven weeks to sell a property, but it’s important to note that many homes, especially those in need of some work or with undesirable features, will spend an average of 60 days or more on the market before garnering some legitimate interest. If you’ve been struggling to unload your property or the above time frames aren’t in your plan, it’s in your best interest to partner with a local team of fast home buyers in Orlando to help you complete a quick and easy sale. If you’d like to avoid long listing periods and countless open houses, all you have to do is contact our staff of professional home buyers. Your initial consultation is completely free of charge and very intuitive – our team of professionals will request some simple bits of information regarding your home and then schedule a site visit, potentially on the same day. This walk-through will help us get an understanding of the property and help us provide you with your fair cash offer. After conducting a quick, in-person evaluation of your property, we will present you with a written cash offer in line with the current market trends. There are no obligations, hassles, or hidden requirements, which is why hundreds of homeowners in Florida find themselves wanting to sell my house for cash now instead of the time-consuming process with a real estate agent. After agreeing to the purchase offer, you’ll be able to officially close the buying process and receive a full cash payment in as little as seven days, which eliminates much of the stress, strife, and tediousness associated with selling a property in today’s day and age. You pick the time that is convenient for you and walk away with cash for your property. If necessary, this process can even be completed by a mobile notary, allowing you the convenience of using a location of your choice. 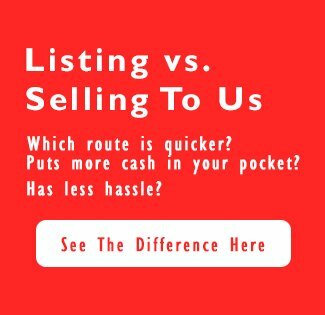 For more information on how you can sell your house for cash in Orlando FL, call us today at (407) 910-2385 or you can simply fill out our online form and we will get back to you promptly.